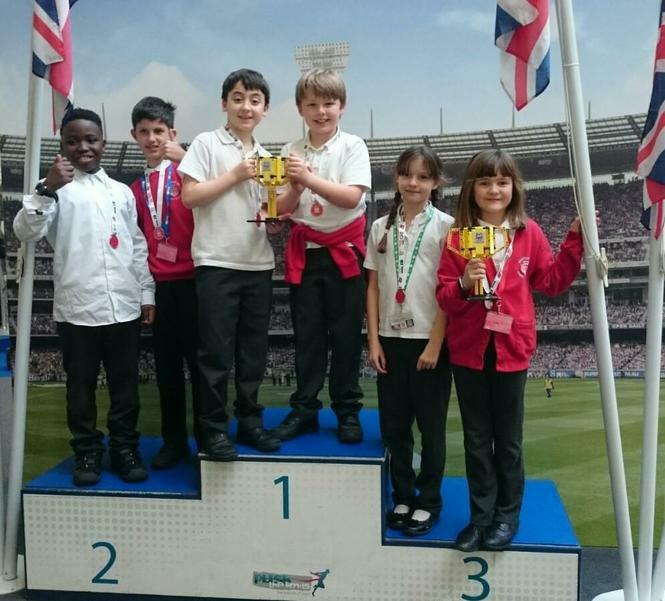 Congratulations to the team of budding engineers and space scientists who went to the tournament at Winchester Science Centre on Friday. The 'Intergalactic Space Nuggets' competed against 18 teams and were the only primary school team (the competition is open to teams of up to 10 students aged 9 to 16). They had to take part in 4 main areas: Robot design, Research, Team work (Core Values) and using their robot to complete various tasks. The team had a fantastic day, with time to explore all the hands on science exhibits and watch a planetarium show, as well as showing off all their skills and knowledge. This years theme was 'Into Orbit' and the team had had to research an idea of how to make long distance space travel better for astronauts and presented their findings to a panel of judges. The judges loved their idea of growing lab-grown 'meat' in space so the astronauts can eat chicken nuggets in space! After a tense first two rounds of running the robot with several failed missions, they had a perfect third round and gained the highest score of any of the robots on the day - One trophy! They also impressed the judges so much with their knowledge of their robot, their clear writing of the programs (with lots of notes and descriptions) as well as how to use sensors - They gained another trophy.